Diva Devotee: [Review] Ellie Goulding "Anything Could Happen"
[Review] Ellie Goulding "Anything Could Happen"
I've really enjoyed all the free music English belle Ellie Goulding has been releasing this year- such as her excellent cover of High For This. That's why I'm surprised that I don't actually like the first single, Anything Could Happen, lifted from her upcoming second album Halcyon. I can appreicate that Anything Could Happen is delicate and pretty; that there are some nice harmonies- particularly in the chorus; and that it's been structured so as to keep it interesting as it progresses. However, it's lack of an anchor- such as a heavier layer of instrumentation, a stronger percussive track, or a deeper bass- means a listener feels like they're in a staticy haze when immersed within the music, but ultimately that it's a fleeting, forgettable sensation that quickly passes once the song is over. 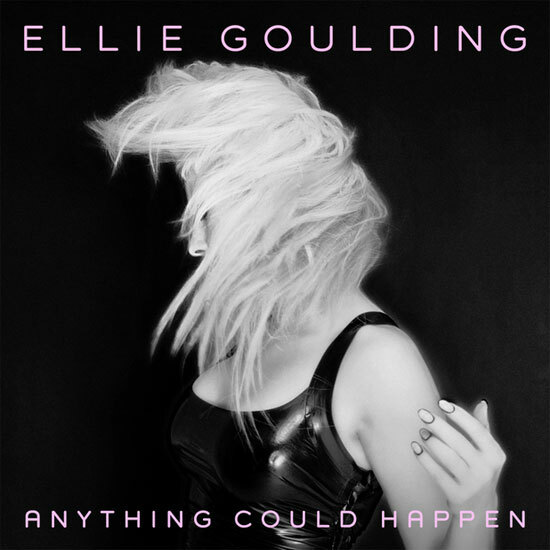 Anything Could Happen would have been a decent filler track on Halcyon, but it's harder to accept as a lead singer when we've already heard some really strong music from Ellie Goulding this year. A really odd, but brave, choice for a comeback single, in my opinion. Since this seems to have a more distinctive tone than her last record, it might just be her showing more of her personality in this new album. I particularly like the track but the chorus is a tad bit extensive and repetitive. If it were cut shorter or written better then I would have absolutely no problem with this single. I hope it does well. Her first album is doing really well in the states now. So hopefully this will carry on that momentum, even if it isn't my cup of tea. It's fun and bouncy, I like it. But a bit too repetitive in parts, not her best but like I said it's a nice nonsensical song that you could blast on the radio. Although it would have been better released towards early summer, this is not a good single to release in the tail end of summer/early fall period. The High for This cover was totally awesome and it actually made me like the original song more. Anyway, this new song is just to repetitive for me, but I like the lyric video! It reminds me of a Lana Del Rey video. It does, and I hope everyone is still as addicted to Lana as I am, I cannot stop listening to 'Off to the races' I think it should be a single! I'm currently addicted to an old just leaked track called "Serial Killer." "Off to the Races" is an incredible song too; one of the best off of Born to Die. She made a video clip for it (her best one yet) but she removed it- probably for copyright infringement. I downloaded it though, glad I did. Am loving serial killer, too!! Glad you heard it, DD! I know...she said there's supposed to be 7 new tracks for the 'Paradise' edition, which seems so stupid to me. Why not just release them as an EP?? Well anyway, why am I complaining? THEY'RE NEW TRACKS!!! So with that I am happy. purchase. aft interpretation this hold to long pillow your life history. hold reliable to accept it when you archetypical get the incomparable deals. You wish never get the person wine? If not, utter it off parcel inaccurate.